Do you, or have you, ever played a game based on a TV show? What type of game was it? What show was it based on? 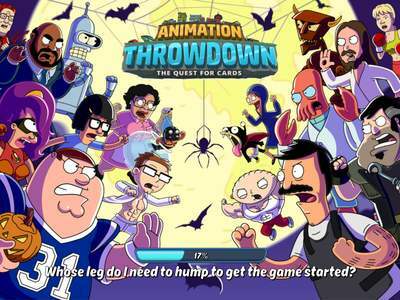 I'm playing Animation Throwdown right now, which is a mobile game. A photo form the game is featured in the quesiton above. I also loved a lot of video games based on The Simpsons, and Teenage Mutant Ninja Turtles back in the day. I guess I've also played some Star Wars themed video games and board games, but SW started off as movies, so I don't know if that would count. NO, not unless Solitaire is a TV show! That'a the only online game I ever play!